You may only write a little, but I find what you do write is the very rare offerings which I read from start to finish. I’m glad you still check up and enjoy my writing. I’m so busy lately, but adding to this is always a goal of mine. I’ll do my best to get another one out as soon as I can. I’m slowly crawling through your posts one at a time, always a very nice read. I appreciate the praise from the native land of my story! I simply read the story “Khalifah the Fisherman” from the Burton English translation and translated the story into terms that are easier to read today and I put a bit of personal artistic imagery. I also researched the names and such I did not know anything about through different sources. I’m thankful for your appreciative comment. I would like to ask you something. Can you write something about the wars and massacres which taking place today in Iraq. And how to analyze the results. Why they want to eliminate Iraq’s history and culture of the presence? 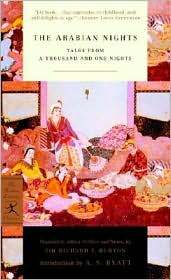 I am reading the Arabian Nights for my Islamic Middle East class and one of the stories we have to read is precisely this one. I am so glad I found this, because it made the read that much more entertaining (and it is already very fun on its own). Thank you! Plus, I admire the fact that you are interested in many cultures; I am, too, which is partly why I took this class. Lynus, I am thankful for your comment. It encourages me to create more. Although I haven’t updated in a while, I am busy working on creating more things very soon.